Remember a few post back saying that I purchased this fabric from Ikea when we went on our little Chicago vacation? 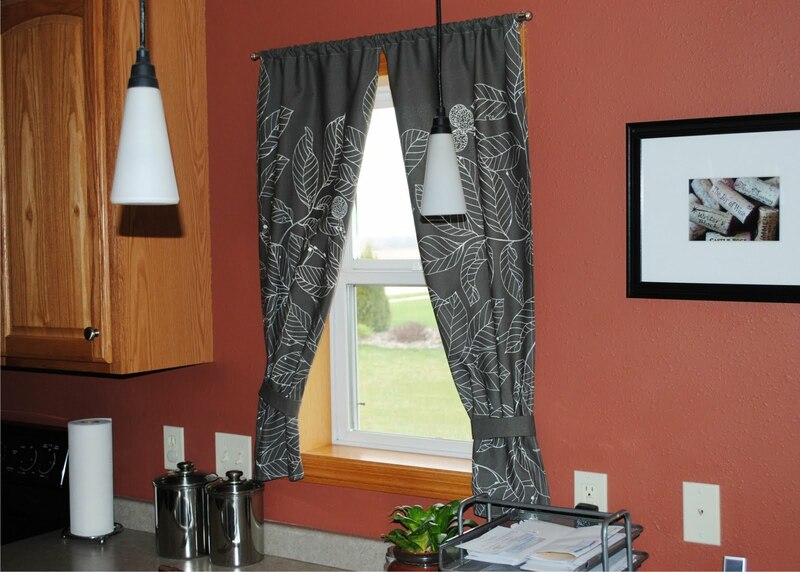 Well, I did it - I made curtains for a little window in our kitchen. I'm not a master at sewing. I'm still learning this hobby. These curtains - pressing the pedal and sewing in a straight line I can do.